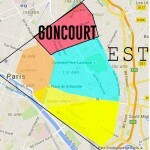 This is an interesting and symbolic place that deserves something of a special mention. 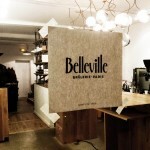 First, we’ll be clear on one thing: Belleville Brûlerie is not really a café. 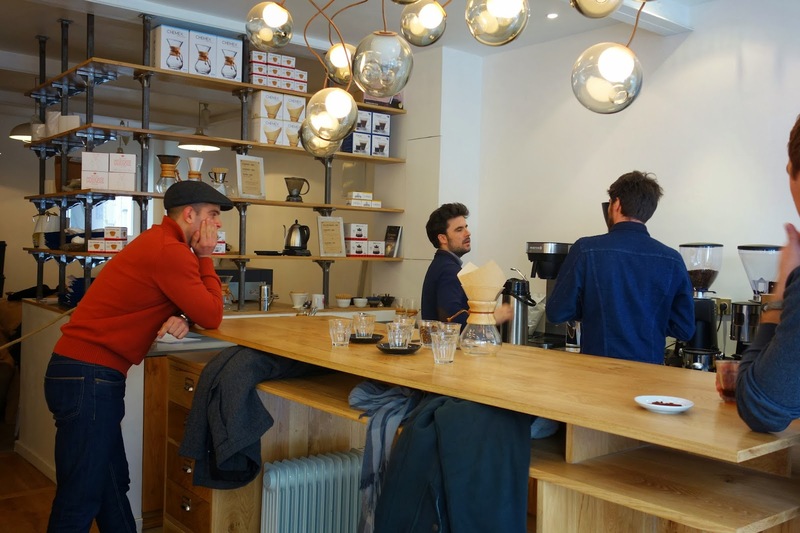 It is a micro-roaster (brûlerie is an old French word for ‘roaster’), open to the public on Saturdays, that provides beans to a number of specialty coffee joints in Paris. 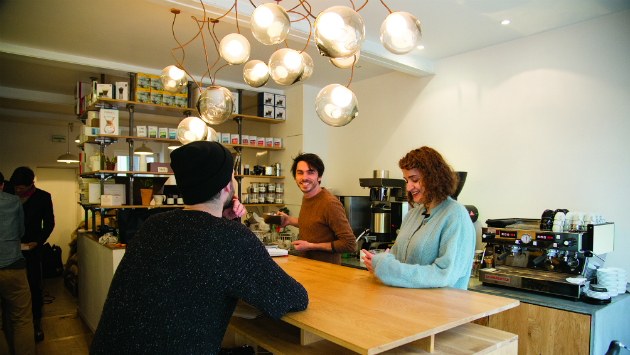 If you’re after a Williamsburg latte or a Melbourne macchiatto then you’re out of luck: all you’ll find here is espresso and brewed coffee. They don’t even stock milk. 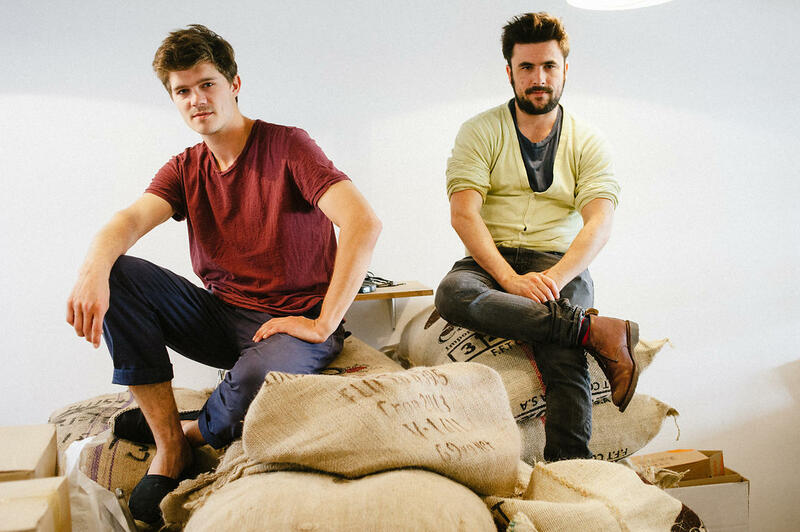 Thomas Lehoux, David Flynn and Anselme Blayney (of Ten Belles, Télescope and Le Bal, respectively) opened up shop in September 2013 following an apparent desire to move further into the bean sourcing and roasting realms of the specialty coffee world. 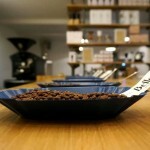 At 11:30 on Saturday mornings they run “initiation to coffee” cupping sessions for up to 8 people (bookings essential). 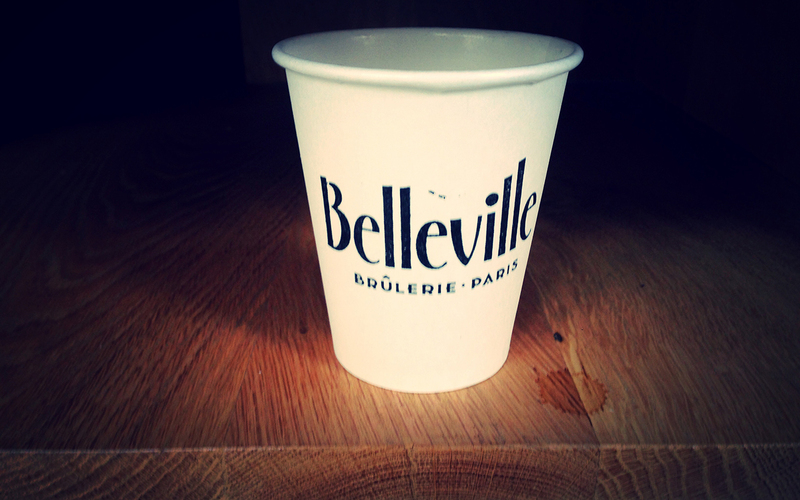 These will set you back 20€, but come with a complementary bag of Belleville beans. 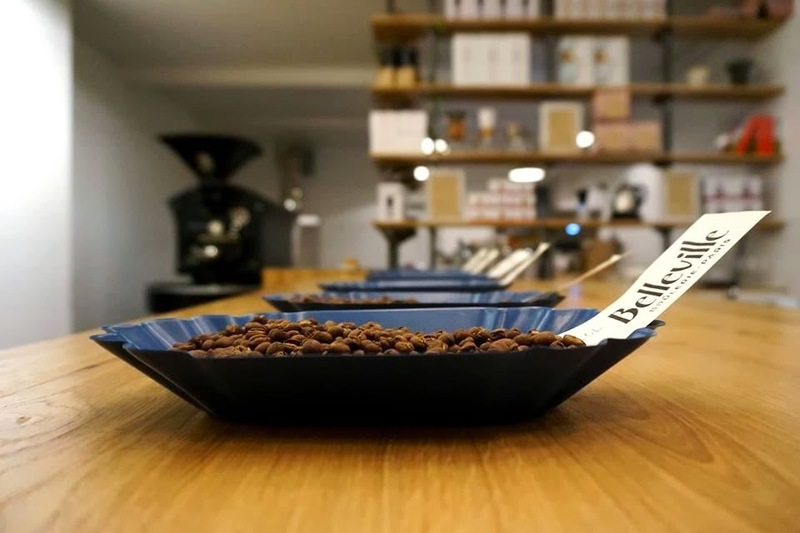 Attendees are advised not to eat or drink beforehand, as this supposedly ensures the highest degree of sensitivity to the subtleties of each coffee variety being sampled. For the rest of the day, espresso and brewed coffee (filter, Chemex and other pour-over styles) are available for around 4-5€. 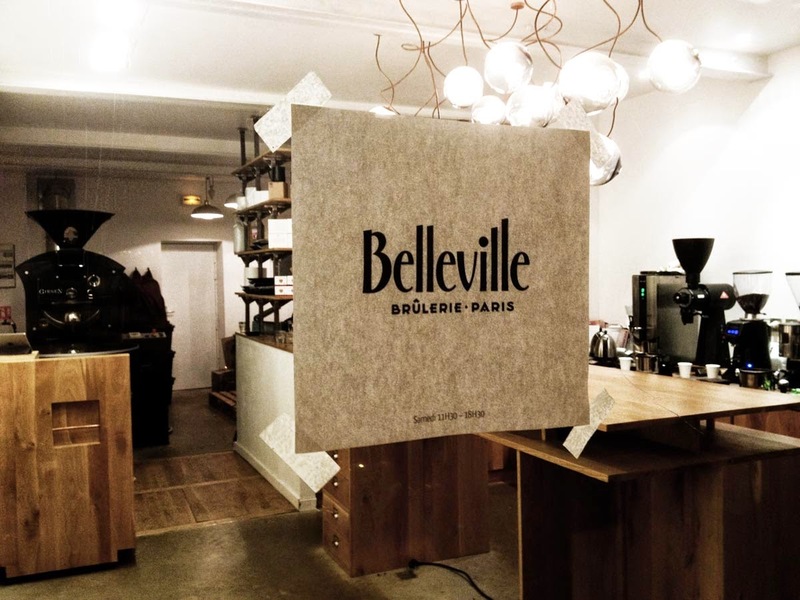 In this sense, Belleville Brûlerie isn’t the kind of place you can quickly pop by for a caffeine hit before carrying on with your day. 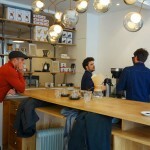 Instead, you go there to appreciate the unique flavour and complexity of the myriad different coffee beans on offer, and to share the experience with other enthusiasts, who range from the humbly curious to the intimidatingly well-informed. 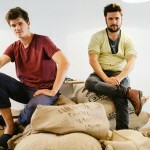 So besides the intimate and inspiring coffee experience you can have there, what is so important about this place?